Old is Gold, agree with me??? 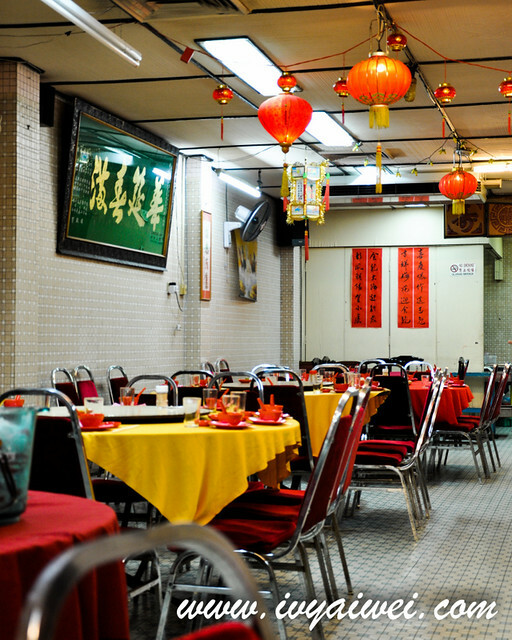 Sek Yuen Chinese Restaurant is one of the oldest restaurants in KL. 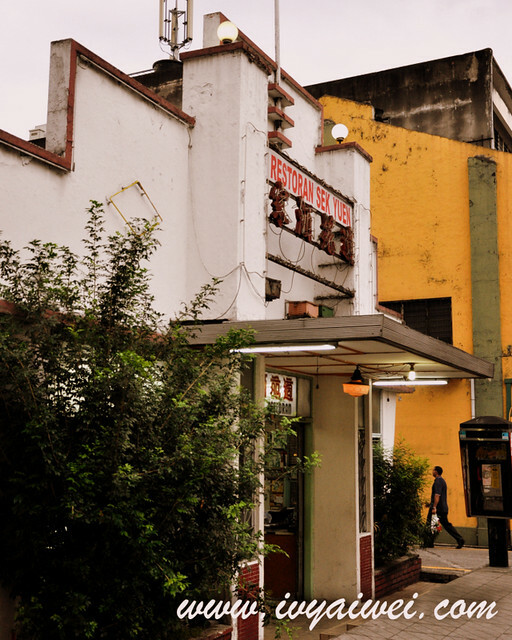 Since year 1948, it is now still standing still, serving their customers with lots of good legendary dishes and dishes full with 古早味. Instead of gas fire, Sek Yuen’s kitchen is using wood-fire in cooking. 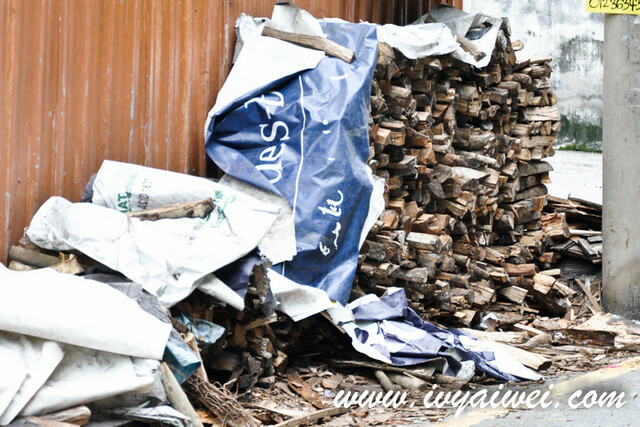 You would be able to see the stacks of chopped wood pieces if you parked you car at the back lanes. Tons of them, readily to be one of the characters in their cooking! 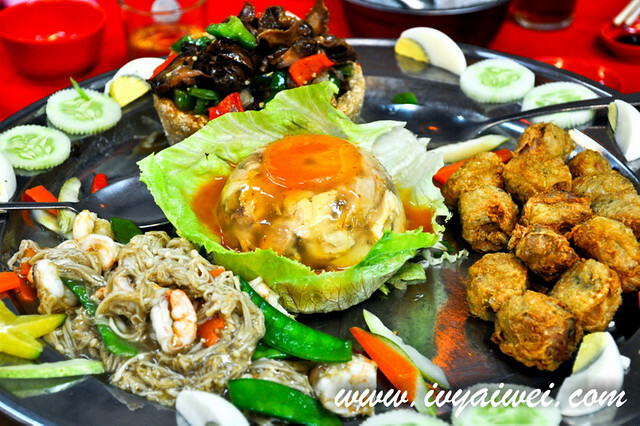 Came with stir-fry enoki mushrooms with prawns and sweet peas, yam basket, deep fried pork balls and the most interesting one, that’s the cold jelly-liked chicken dish in the middle; something that would appear in those old days, in the Chinese banquet dishes. 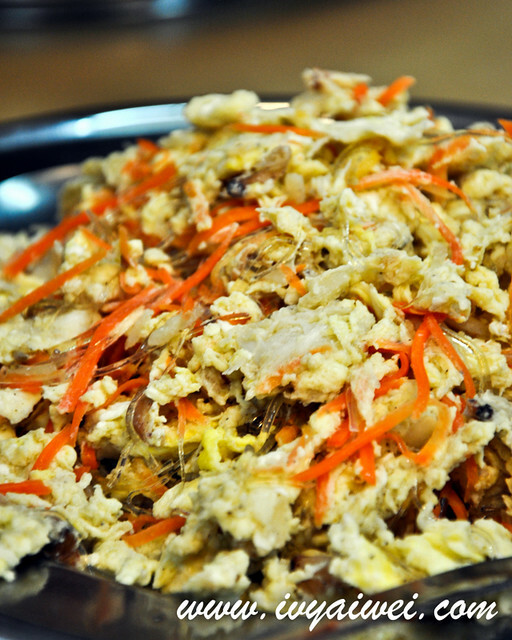 Tossed in with lots of shark fins, flavourful and non greasy; of course, this dish doesn’t come cheap. 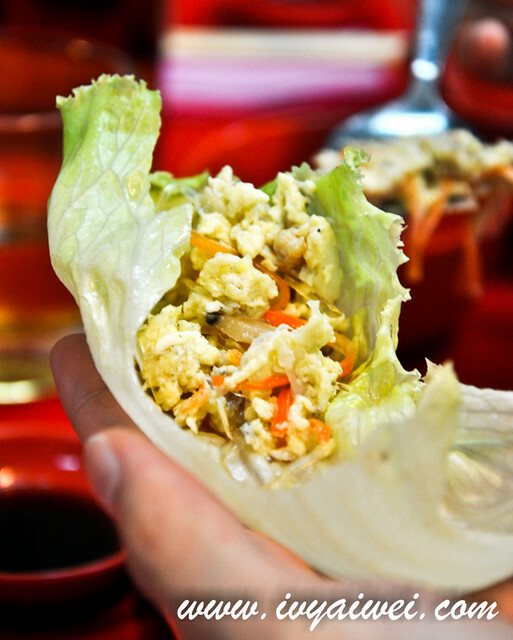 Eat with helps of fresh lettuces and dash it with some black vinegar for extra omphhh. 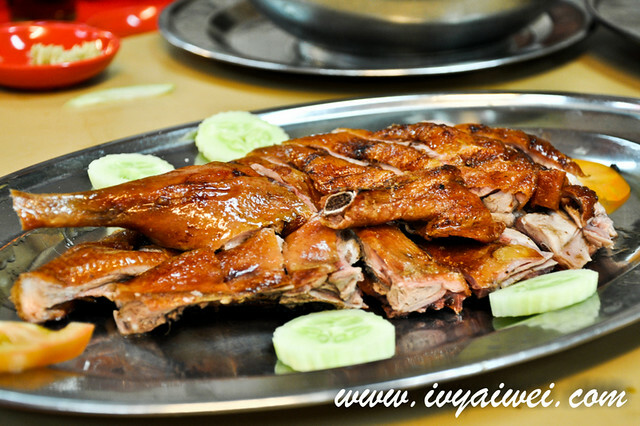 Pei Pa Duck was roasted prettily in reddish brown colour. 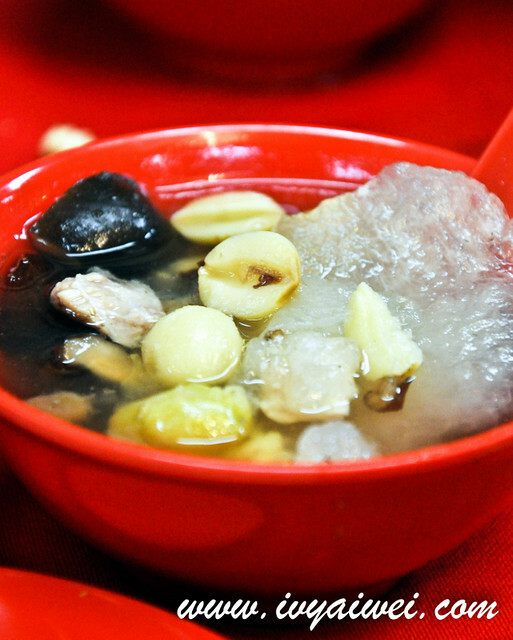 Do remember to go with the house’s sour plum sauce. 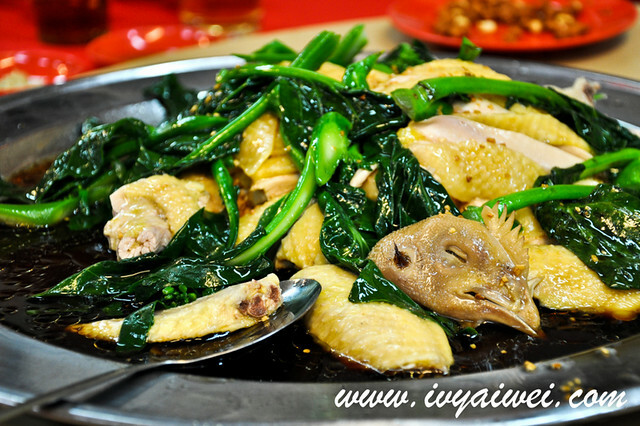 Bak cham gai or the poached chicken, drenched with their fragrant light soy sauce. 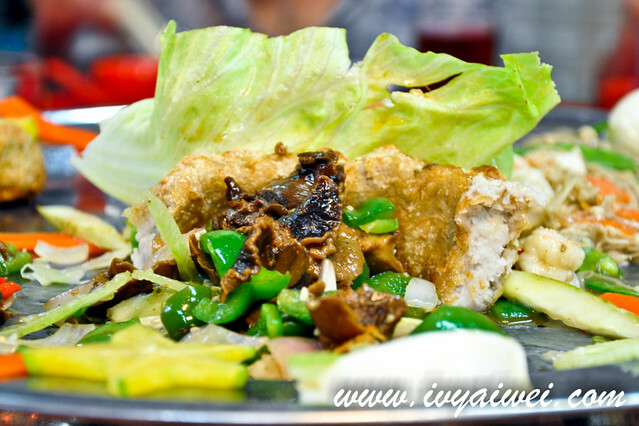 The chicken was tender and succulent, not to mention, its skin was the best part of all, chewy and collagen-liked. 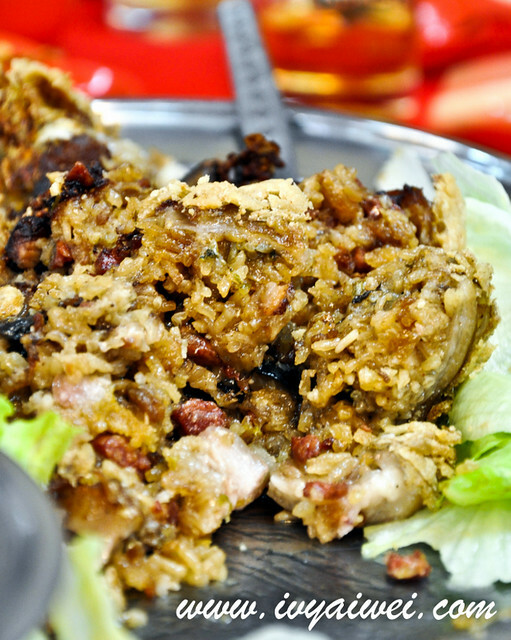 Pork knuckles stuffed with glutinous rice was something I fancy the most (sorry as no pics of whole pork knuckle). Love the fats that immersed so well into the rice and the rice turned out to be aromatic! 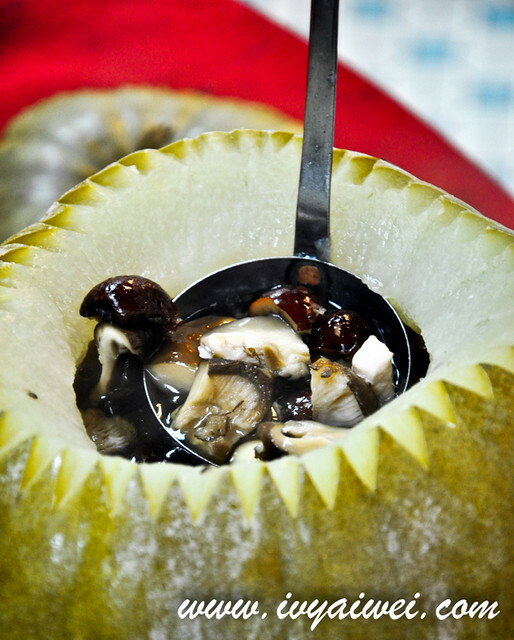 冬瓜盅 Wintermelon soup with lots of ingredients and double-boiled, resulted the soup was sweet and soothing. I heart the dining experience in this old school restaurant which they serve homecook fares with minimal seasoning. This is a restaurant I would love to revisit for more. 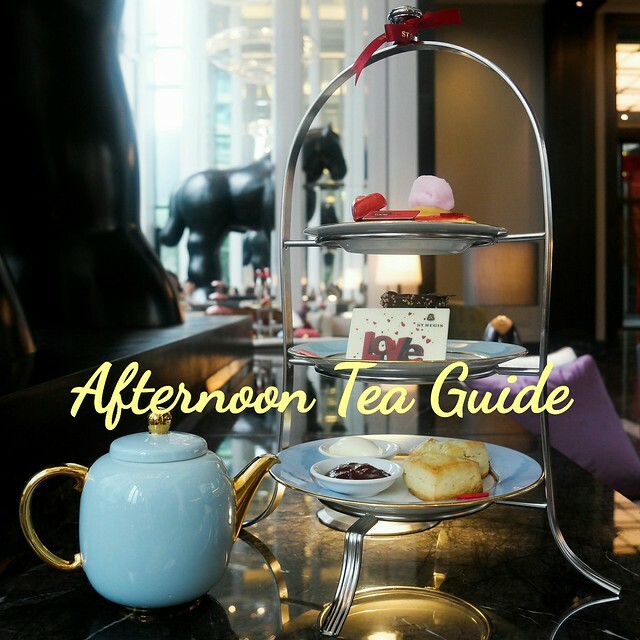 If you would love to make a visit with friends and family, do remember to reserve a table beforehand as the weekends and CNY days will be crowded and packed with people. Ohhh, they have Eight Treasure Duck (pat pou ngap) too but this required reservation. 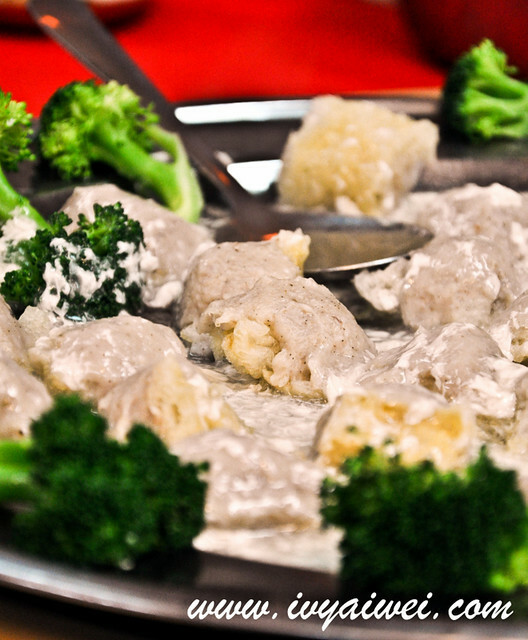 yeah, dishes here taste simple and nice. Someone told be about this place a few years back and I’d forgotten about it until your post. Thanks for reminding me to make a trip.